Laminate flooring is scratch and impact-resistant. Oftentimes, laminate flooring can be installed over existing flooring. It cannot be refinished; damaged areas must be repaired or replaced. Laminate flooring is a tongue-and-groove flooring which is attached at the tongue only. It is installed over underlayment, and often containing a moisture barrier. The product is made to expand and contract and is not fastened to the underlayment. The flooring virtually floats. An excellent choice for high-traffic, low maintenance considerations. Laminate flooring is also considered a good selection for allergy sufferers. Laminate flooring can be installed over wood subfloors, concrete subfloor, and over existing flooring. It can be installed in virtually every room of the house, including stairs, bathrooms, kitchens, and basements. 5 inch Laminate 10 Colors to choose from. Sound solution Rubber Foam is the ideal rubber underlayment under floating screed /concrete slab or underneath rigid floor elements on wooden subfloors, providing outstanding elasticity and extremely high resistance to compressive loads. It is equally well suited for applications in residential, office and commercial buildings. Reduces up to 60 to 75 % of noise. 6.5 inch Laminate 11 Colors to choose from. Reduces both reflective sound noise and through the floor sound transmission exceeds recommended moisture permeability ratings for installation over concrete slabs.  Helps to eliminate minor sub-floor imperfections.